The surest sign that things are not working and Skinner knows it, is how he is still tinkering with his rotation. Known for creating a starting five and sticking with, Al has juggled this line up more times than any of his previous seasons at the Heights. Sanders and Blair are the only guys to start every game. (Rice missed the opener.) The most frequent starting five was Rice, Sanders, Blair, Spears and Roche. They started 17 games together. Yet we haven't sent out that combination since first loss to Virginia Tech Jan 26. Since then Roche, Spears, Oates, Raji, and Paris have all started the game in some combination with Blair, Sanders and Rice. The only guy seeing regular minutes who hasn't started a game is Southern. Equally surprising given Skinner's history are the game-to-game changes in who gets minutes. Blair's playing time dwindles each week. Roche has started recent games yet also had a DNP. Raji also saw long minutes against VT after barely geting on the floor a few weeks ago. The rotations may be a point of frustration, but they also provide hope. Skinner is not complacent and trying to find something that will work now and in the future. I also think he is sending a message about future playing time. With only two guys leaving for sure (Oates and Blair) and four guys coming in (one transfer and three freshmen), things will get very crowded. My guess is that you'll see a transfer or two when the season is over. Are we playing the right D? Interesting piece over on Basketball Prospectus on where shots are taken in college basketball. Kenpom wonders if the best style of D is to deny the long distance and close stuff and let teams take mid-range shots all day. Our D cannot do much right lately, but when working Al prefers to pack in the D and let teams try to beat us with the 3. Maybe that is not the answer. I don't expect a change anytime soon, but it is something to ponder in the offseason. BC plays their annual game against the Red Sox today. Instead of the usual night game, it will be a 1:00 start. Josh Beckett gets the start for the Sox. Since most of us will be at work, I thought I would put up this post for those who want to leave a comment or two. Although it is just an exhibition, the game is always fun for the BC kids. The game is not on NESN this year, but you should be able to follow from various gamecasts and audio streams. UPDATE: Here is the live box score for those of you who cannot find it. As we approach the NFL Draft, Matt Ryan is sharing his story in a diary with FOX Sports. BC reliever J.B. Macdonald got the home town treatment in this nice article from the Salem News. Recruiting is a delicate dance. Coaches and players flirt but are always hedging and keeping options open. Take the case of incoming RB Jerry Kelly. West Virginia showed real interest in him until their coaching change. Fortunately for Kelly and BC, we stepped into the picture and offered him a scholarship. Peter King generated plenty of debate following his piece about Matt Ryan. I can't gaurantee that Ryan will be a star, but I think the criticism of him has been overly harsh. Having watched nearly every throw of his college career, I am confident he has the arm and accuracy to be an NFL quarterback. His interceptions and completion percentage were much more a product of our talent and scheme. The defensive effort in the first half was strong. Guys were ball hawking and rebounding. It looked promising. Then things feel apart again. I've been trying to remain positive. Not tonight. 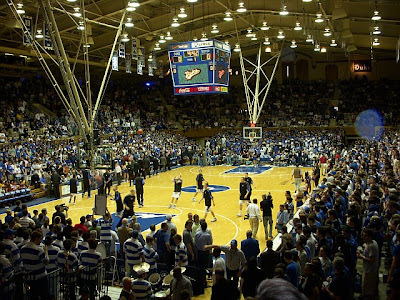 Half court offense -- an area where we should be strong -- was atrocious. Everyone just stands around waiting for Rice. He forced things. Sanders forced things. Raji had some curious shots. The offense didn't get better in the second half and the defensive effort lapsed. No offense and lazy D equals blowout. Lacking an offensive identity and being young is understandable. But there is no excuse for the passive effort. Blair seemed lifeless. Rice and Sanders looked beaten down. The only guy who played with any life was Spears -- but that doesn't excuse him for chucking up some awful shots including a 3! Good news: Southern and Raji played hard but are still very raw. Things looked better once they went to the 2-3. I don't know where to go from here. We need to have an alternative to Rice. We need another set or play that can score consistently. I don't expect a win against UNC, but I hope for a better showing. The biggest unknown heading into the 2008 football season is the quarterback position. As the overriding theme of the offseason, I thought I would take a look at how BC and other programs have done replacing an experienced QB. 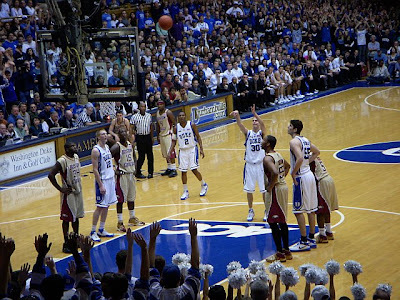 For Part 1 of the series, I decided to just look back at BC’s recent history. Here is recap of the QB transitions in the past 10 years. What happened? After redshirting the 2004 season, former starter Quinton Porter was expected to pick up where Peterson left off and provide a steady hand in BC’s first ACC season. Inconsistency and injuries continued to haunt Porter. 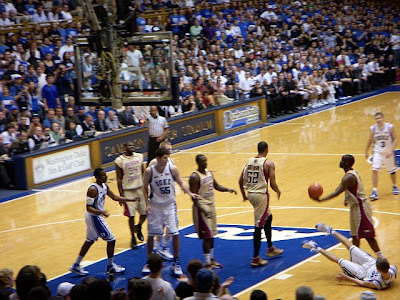 A week after winning ACC player of the week honors, he was pulled from the Wake Forest game. Matt Ryan came off the bench and led a stunning comeback. BC had a huge QB controversy. Assessment: Messy. This was obviously the most controversial transition of the TOB era. A good defense and a surprising run by Ryan kept BC in the Top 25 despite the QB controversy. What happened? Unlike St. Pierre, who had been groomed with game action for two years, Porter was somewhat thrown to the wolves in 2003. 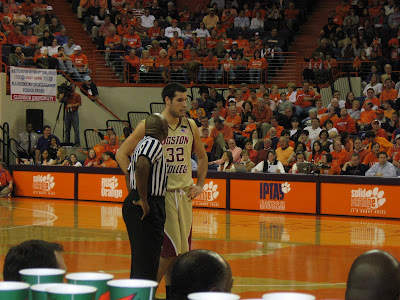 BC had brought in Junior College transfer Paul Peterson as an insurance policy. Porter was inconsistent throughout the season, while Peterson looked promising in his limited play. Once Porter hurt his hand against West Virginia, the job was PaulPete’s. Assessment: Lucky. This season lacked the controversy of 2005, but they both included late runs after the change. While there were grumblings that the wrong QB was starting, few around BC knew what we had in Peterson. BC was 5-5 coming into Peterson’s first start. Once the job was his, the team ran off a 12-2 streak over the next season and a half. What happened? Brian St. Pierre took over as a redshirt JR. A local kid, recruited by TOB, BSP was groomed with game action and the occasional start prior to being the full-time starter. There was no other real candidate for the position. Assessment: This is how it was supposed to work. Having a great offensive line and William Green in the backfield aided St. Pierre’s transition. What happened? Tim Hasselbeck, who had played sparingly prior to the season, came in as the heir apparent. He played well and led BC to its first bowl appearance in five seasons. Assessment: Pretty good. The only awkward period of the transition was TOB inserting Brian St. Pierre into games for the first drive of the second quarter. The goal was to give BSP game experience. Critics felt it just killed BC’s momentum. This should be a reminder that even the best laid plans can go awry. St. Pierre was the only QB recruited by one head coach, redshirted, groomed, and named the starter without controversy as a JR…and he was good not great. One thing is certain, whoever starts the Kent State game will be our least experienced starting QB since Porter’s vs Wake Forest in 2003. John Clayton ruffled a few BC feathers with this article on drafting QBs. Who knows, Clayton could be right that Miami and Atlanta will pass on Matty. I don't really care. Ryan will go in the first round and it won't be one of those embarrassing draft day slides like Brady Quinn or Aaron Rodgers. The AJC polled some experts to predict what the Falcons would do with the No. 3 pick. The combine tested Jamie Silva's mental preparation too. In this article, Gosder spoke highly of Jags NFL approach at BC and how it is easing his transition to the pro game. In looking for video of our earlier match up with Virginia Tech, I came across this clip. It was posted by a basketball blogger who also posted this animated look at how BC's offense is supposed to move. Whatever frustration and dissapointment we are experiencing with this season, the young players and a proven system give me hope for next season. 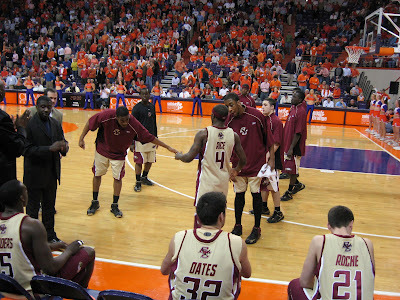 Thanks to John K for taking these shots from the FSU game. Hopefully someone will get to take pictures of a win soon. We're now to the point where the season is over. Any pipe dream of a late run and sneaking into the tourney is dead. 8 ACC losses (and counting) is Al's worst showing in conference since 2000. All that said I am going to focus on the positive of today's loss. Another close game that will go a different way next year. -- Southern's quick accession. Because we are losing, it makes sense for him to get more minutes. But I think he is a net positive when he is out there. He's a much better rebounder than Oates or Blair and is our only good inside scorer. -- Paris's aggressiveness. He went at the basket and also took open shots. -- Rice's passing. He put the ball in the right place. Guys just had trouble finishing. If he comes back next year, his assist numbers will be very impressive. One more thing: I disagree with the announcers on Rice's quiet second half being the reason we lost. Sure when they shut down your best player, it is tough to win. But I felt the bigger factor in the loss was really the poor defense when Blair and Oates were on the floor in the second half. Once we went with a lineup of Rice, Paris, Raji, Spears and Southern, the rebounding improved as did the defense. They didn't have enough time to overcome the deficit, but Rice got the players involved and they all contributed offensively. The first question Matt Ryan fielded was about the No. 1 overall pick in the draft. His name has come up in every press conference involving a quarterback today, and it’s pretty obvious he’s the measuring stick in this year’s group of QBs. In an interesting turn of events, Ryan will not be participating in throwing events here, just the running events. He said Boston College has “put up a bubble” around its stadium so Ryan and the other Eagles can continue to work out, and Ryan said he’s more comfortable throwing to people he knows, so he’ll conduct his own workout for throwing drills sometime soon. As for where Ryan goes...Atlanta won the coin flip for the third overall pick. Mel Kiper thinks they might use that pick to move up to No. 1 and take Ryan. The City of Boston is now against BC's plans for the Brighton campus too. 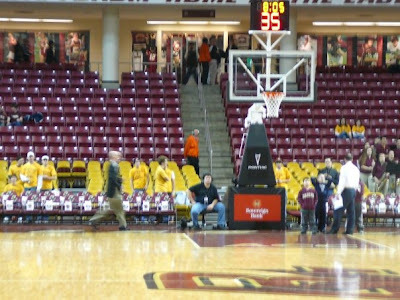 Georgia Tech and UVA postponed their game Thursday night because of a leaky roof. If and when the game gets rescheduled will certainly have an impact on the ACC tournament seeds. Many of you probably read this in the Herald, but I think it is interesting to read Al's take on Rice entering the draft and player's testing the waters. I don't think Rice is ready for the NBA. I imagine Al doesn't either and will be honest with him. I hope he stays. The school's site posted an interview with Josh Southern. Bob V. took note of Rivals labelling BC an overachieving program. I apologize for the link heavy week. The lull in the schedule hasn't created much to sink my teeth into. Things will pick up next week with more basketball and some football posts. SMQ broke down the keys to winning in ACC last year. BC was the outlier in that we depended on passing. His breakdown also shows the importance of our run defense. ESPN doesn't think much of our chances next year. Mel Kiper thinks the Dolphins will take Ryan first overall. Atlanta is hoping to win their coin flip and that Ryan is still around at No. 3. An update on Derric Rossy's boxing career and how an unusual trip to China sparked his latest win. Finally, here is Will Ferrell's Q&A with BC students. Last year I mentioned how the NFL Combine always brings out a burst of Mamula stories. These tired cliches started appearing again this week. Deadspin captured the story recycling phenomenon perfectly. I'd love to see this annual trend go away. Ever the BC guy, Mamula seems to take it all in stride. If you enjoy this blog give BC Interruption a chance. Started by two BC guys, it features a lot more hockey content than I can get to. Here is another article on the new NCAA baseball schedule that references BC. 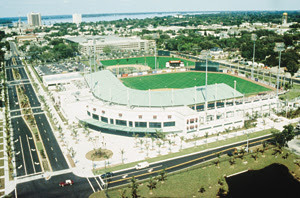 It is also noted that like many of our other sports, the baseball team has one of the highest graduation rates in the country. This article runs down the incoming college QBs and makes a quick reference to Justin Tuggle. The mind behind the Big Dig is against BC's expansion...for traffic reasons. Anyone want to take a guess on which part of town he lives in? So he is all for spending the better part of two decades tearing up a city and spending billions in taxes but don't let BC build a dorm on the Brighton campus. Makes perfect sense. The latter part of this article recaps a wrestling match between BC-bound Bryan Murray and ND-bound Lane Clelland. Clelland won, but Murray has the right attitude about their future matchups. In interviews and in recruiting pitches Jags talks about BC being a special place. Every coach says something similar when selling his school. However, I think Jags can speak with a certain level of authenticity because of the Campus School. His daughter Jaci (pictured on the first page) attends the unique learning center. Coaching is tough on families, especially ones with special needs. I am happy for Jaci and the Jagodzinski family that BC could be a place where they all thrive. 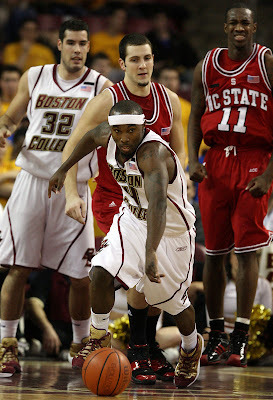 Despite the team losing Sunday, Tyrese Rice was named Co-ACC player of the week. Beanpot hero Nick Petrecki has earned Hockey East Co-Rookie of the Week honors. In a rare treat, I was able to catch the BC women's basketball live last night as they beat Georgia Tech at Conte. 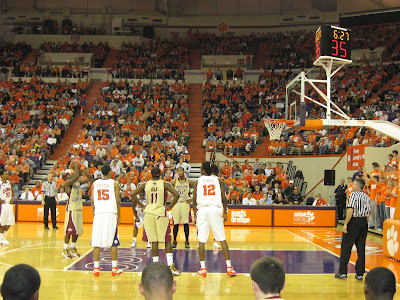 They improved to 6-5 in the ACC and will probably make the tournament with a strong finish. Realfootball365.com provides an early scouting report on Josh Haden. BC basketball star and former American Idol contestant Ayla Brown will be blogging about the show for the Herald. Here is a draft-focused Q&A with Jamie Silva. Here is an draft-related interview with Jamie Silva. The second part of this notebook has Mike Mayock talking about Matt Ryan. Just one BC guy on anther. Confused about the new clock rules in college football. Brian tries to clear some of it up here. This was a "two steps forward, two steps back" game, but also a "two steps forward, two steps back" loss (in terms of digging out of the schedule) during a "two steps forward..." season. Worst of all, we have another week long layoff before we can fix things. My thoughts follow. Please share yours in the comments section. -- The starting five. We didn't get great minutes from Oates but Paris and Rice on the floor together is probably our best lineup. It gives Rice more flexibility and is better defensively. -- Rice doing his best to carry the team. Any time we got in a hole he pulled us out. His instincts on when to assert himself are solid. Just wasn't enough today. -- The defense. Rotations were off. The interior D was passive. Singletary causes problems but overall it was a poor effort. I really think we should use the 2-3 more often. -- Freshmen foul shooting. This is actually a big concern heading into the next three years. Our offense is dependant on getting to the line. If three players who are expected to get heavy minutes (Sanders, Paris, Raji) cannot convert, we'll be very frustrated. -- The crowd. Better attendance than Thursday, but no energy at all. What is wrong with the students? 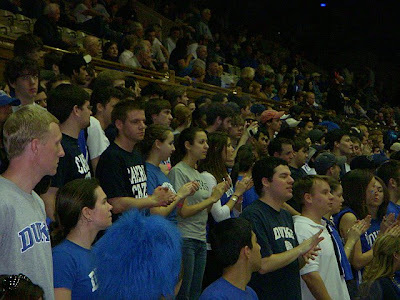 I thought the Super Fan movement had changed the student culture. Make some noise! WARNING. THE FOLLOWING IS ANOTHER LECTURE FOR ALL OF THOSE WHO CAN BUT DON'T ATTEND THE BASKETBALL GAMES. Last night's attendance was listed as 5,138. That number seems generous given the photos above were taken eight minutes before tip off. On TV it appeared the crowd arrived late. No doubt this team is struggling and has to fight to get into the NIT, but there is no justification for the lack of support. If you are current student...go to the games!!! Like my last lecture, you don't realize how much free time you have now. Studying, hanging out, drinking, going out for a Valentine's date...that all could have fit into your schedule WITH the basketball game. This team might not be as good as the ones you've grown accustom to, but they are not far off. They will get better soon. 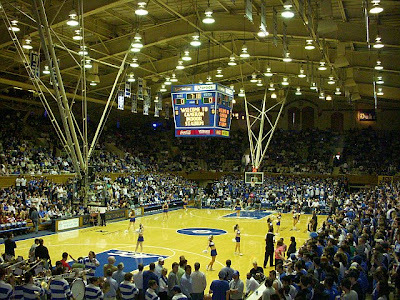 You are missing a golden opportunity to see great basketball, up close, in a potentially great environment for cheap. Go to the games!!! The alternatives are not that great. If you are a season ticket holder...I won't get on you as much. Work, families, trying to get to campus by seven when the game is on ESPN are all legitimate excuses. But that doesn't let you off the hook. If you have seats -- especially the great ones on the floor -- and are not going to use them, then please get them to someone who will. Friends, family, coworkers. Anyone. Give them away if you have to. I know you bought them to see Duke and UNC. Maybe NC State doesn't excite you. Surely you know someone who would like to go. You bought them for a reason. Now put them to use! BC plays Virginia this Sunday at 1 PM. A win would put us in the middle of the conference and back on track. Get there early, be loud and take advantage of your proximity. There are thousands of BC fans scattered all of the country who would love to be in your place. Is there anything more romantic than a burger on the grill, some Valentine's candy and a BC victory? My wife knows me well. -- Rice's smart play. He shot well, but there was more to his great effort. The offense performed better because Rice picked his spots and worked to get other guys good shots in the flow of the offense. Rice also avoided foul trouble after getting three in the first half. -- Sanders’ rebounding. I've bemoaned the rebounding effort the past month. Sanders is one of the few natural rebounders getting serious floor time. If he can pick up the slack for the big men, things will get better. -- Oates! He's on the roll of his career. Would anyone have predicted this in November? His minutes are productive and even his defense has improved. -- We are still turning the ball over too often. Rice was given the TOs, but part of it is on his teammates. There are times when they are not ready for the passes. Our offense only works with patient and smart passing. -- Transition D. The defensive rebounding was better, but there were still too many defensive breakdowns. Grant is sort of a cherry picker, but we never really adjusted to his movements. -- Dumb fouls. How many times are we going to commit a soft foul in the act of shooting? Blair's second half fouls was a little rough but at least he prevented the score. There are some really good things to build upon. 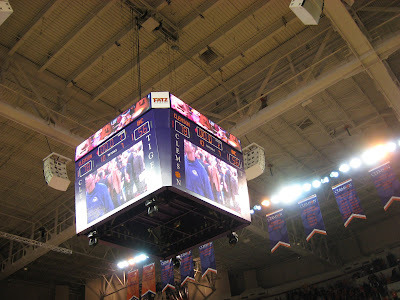 The first Virginia game was where things started to fall apart. Maybe we can use the rematch as a chance to turn the season around. 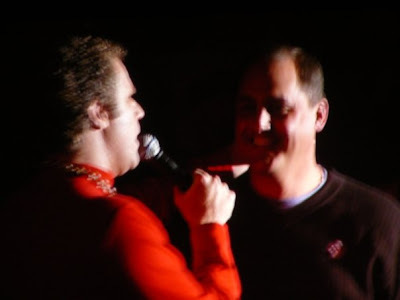 "I'm kind of a big deal"
Love was in the air as Will Ferrell serenaded Jags last night at the Funny or Die show. If anyone has video of it, please share. NC State blogger Section Six has a good preview of our basketball team. 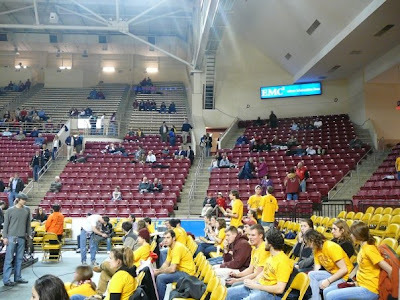 Another BC blogger was at the Beanpot and took some pics. There is debate among NFL people on Ryan going first overall. Here is a good article on how NCAA schedule rules and the move to the ACC has impacted the BC baseball team. I've had plenty of interviews and news leaks fall through on me while writing this blog. I try not to get into the nitty gritty details here because I don't think it makes for interesting reading. Someone should tell that to the Daily Gazette's Ken Schott. In my opinion he used his column to throw Beanpot hero Nick Petrecki under the bus for a missed interview. He passive aggressively lets Nick off the hook at the end for being a college student. Meanwhile this writer is getting haircuts and going bowling and chatting online. Tough life. Sounds like he is a college student. I've already given this more attention than it deserves, but why would this guy whine about a non-interview? Maybe instead of bowling he could have come up with another column idea. Mass high school coaches selected future Eagle Nick Halloran for their Super 26 team. Realfootball365 thinks Clemson's schedule sets up well and picks the Tigers to win the division. 2009 recruit Logan Heastie is saying good things about BC. 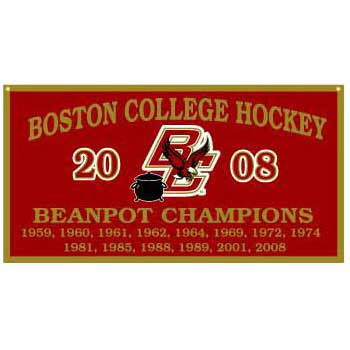 "I don't remember the winning that game...or that one"
Great find from reader Kevin S. It seems that after the Beanpot win CSTV's online store quickly put up a replica Championship banner for sale. Great idea, right? Who wouldn't want that hanging in their dorm room? One small problem -- the past championship data is wrong. Really wrong (see above). 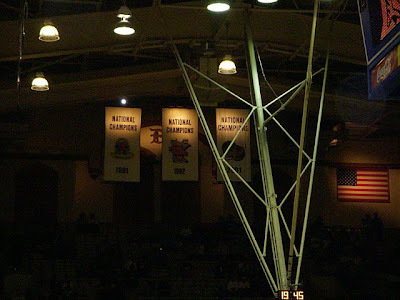 The banner lists BC as champs in '08, '01, '89, '88, '85, '81, '74, '72, '69, '64, '62, '61, '60, '59. Actual BC Beanpot Championships: '08, '04, '01, '94, '83, '76, '65, '64, '63, '61, '59, '57, '56, '54. -- The fewest wins since 2000 was 19 in 2003. BC would have to run the table on the remaining regular season games just to match that total. 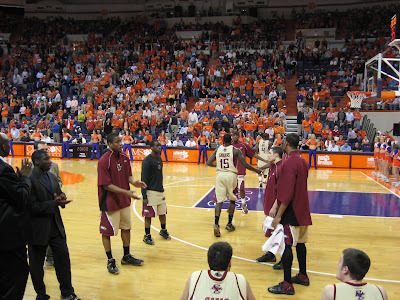 BC now stands 12-10 (3-6 in the ACC). There are seven regular season games and at least one ACC Tournament game remaining. BC could conceivably losses all eight. I don't think they will. I also think this last stretch of games on the schedule will be different. Take a look at who we play. 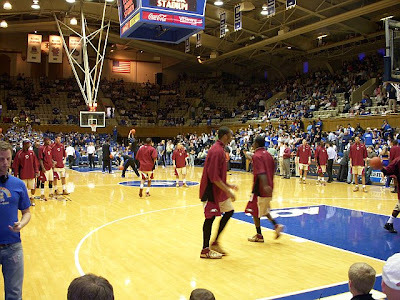 Outside of UNC, all those teams are a lot like BC -- flawed and capable of an off night. If we play like we did against Duke, all those games are winnable. If the team can go 4-3 down the stretch, we will get invited to the NIT. Anything less and we are probably looking at no postseason. The postseason isn't my biggest concern either. If this team cannot improve over the next three weeks then we seriously need to adjust our expectations for next season and this group of freshmen. The final 10 minutes of the third period were a disaster. Yet the crisis was averted. BC dominated OT and won the Beanpot with a goal by Nick Petrecki. Congrats to the seniors who add another accomplishment to their resumes. Next up -- the Hockey East championship! With the game on NESN, most of us outside of New England will not be able to see the Beanpot Final at home. If your local alumni chapter is having a game watch, let me know or post the information in the comments section. If you don't have NESN, don't have a game watch in you area and don't want to brave a sports bar, you can always catch the action on WZBC. These guys do a great job. 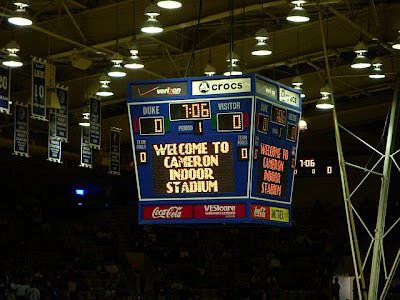 Thanks to TRay for sending these shots from Cameron along. The Globe jumped the gun on the schedule released a few weeks ago. Turns out this is the real schedule. The first four games are consistent with the floated schedule. My thoughts stand -- it is a good line-up for our young team. The second part of the schedule softens from the first release. I think we'll need the bye week before VT. The final stretch is tough. Florida State will be at full strength. Wake the week after FSU. However, I like closing with Maryland at home. Overall I still think this sets up nicely for a bowl season. Inspired by the Ryan for Heisman blog, a current BC studentrecent grad has started a Gerbe for Hobey blog. Unlike the uphill battle Ryan faced trying to win college football's most prestigious award, the Hobey Baker is within reach for Gerbe. A Beanpot Championship would certainly help his cause. Although I think the next few weeks will be decent, I've severely lowered my expectations for the basketball team. Therefore I didn't expect BC to beat Duke today. Yet going up with 10 minutes to play had me on the edge of my seat. Too many mistakes allowed the game to slip away. Here are a few thoughts. -- This is the type of game Rice needs to have. Sure he made his shots, but he also made some great passes and found guys cutting to the basket. I think he works better at the 2 position and with Paris doing most of the ball handling. -- Southern needs to play more. He still has a long way to go, but he is our only big man who can rebound. Blair is embarrassingly bad on the boards. -- You can't win turning the ball over. Paris, Sanders, and Spears were all too careless. I usually don't care for Billy Packer but his optimism should be noted. 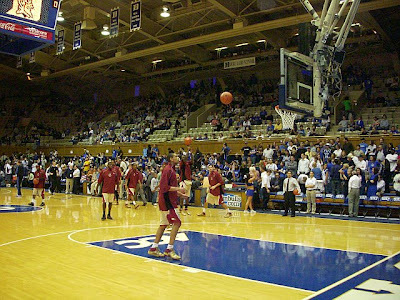 I think BC will be much better next season. 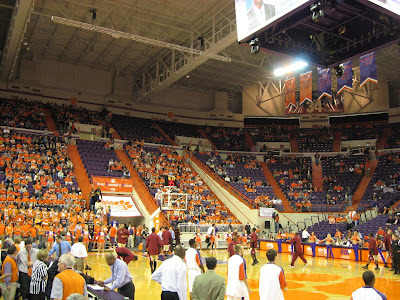 Before then, let's hope we win a few more ACC games. Remember when the Globe published the BC schedule a few weeks back? Well, it looks like they were off a little. Here is the real schedule. I'll revise my comments on the 2008 slate later this weekened. Rivals named Ryan Day one of the top recruiters in the country. Tyrelle Blair candidly answered these questions from SLAM. The guys at RealFootball365.com think Callender is a late round draft pick. In a class this deep at RB, I think they are probably right. BC signee Dominick LeGrande was named one the national Old Spice Red Zone Players of the Year. Nick Halloran was considered one of the better players in Massachusetts. For close observers of the program the recruiting class of 2006 was one of the early signs that the TOB era might be coming to an end. First there were some head-scratching recruits. Critics felt BC was too passive and filled the class with low hanging fruit and reaches. Once the kids got on campus many showed promise. So much promise in some cases that TOB strayed from one of his tenants and played many as true freshman. Their immediate impact invigorated certain areas but shifted the programs focus from long-term development. The robbing Peter to pay Paul didn’t matter to TOB since he wasn’t going to benefit in 2010 when these true freshmen would have been fifth-year seniors. Playing true freshmen certainly has its merits. Unhappy players do not. Very early on there were rumblings that these kids weren’t enjoying their time at the Heights. Unhappiness combined with the inevitable transfers that occur during a coaching change also thinned out the class. In addition to the thin roster, this class has had some plain old back luck. Who knows what the future holds for Fox, Lindsey, Bagan and Davis? I hope they all have great careers, but their injuries or issues may linger. This recruiting class shows how recruiting rankings are only part of the story. How they progress, coaching changes and a few tough breaks here and there can make a difference. By 2010, Jags should have enough of his own guys in the program to offset any issues from this thin roster. It will be interesting to see if there are any more bumps in the road for this group of guys. Justin Tuggle's father is very proud of his decision to head to BC. Colin Larmond knew BC was the place for him very early on. West Virginia product Jerry Kelly emerged late in BC's recruiting process, but he seems very excited about playing in Boston. The second part of this article also mentions Kelly. Nick Clancy is one of seven players from his high school to sign a letter of intent. This is the Sporting News' breakdown of ACC recruiting. BC is ranked right behind NC State. Take one guess who ranked the teams. Maryland recruit Masengo Kabongo remains bitter towards BC. When the staff changed, our interest in him dropped and now he is looking forward to proving BC wrong. Recruiting is underway for next season. BC recently offered Virginia QB prospect Tajh Boyd. The school also made an impression on Jay Weatherington. 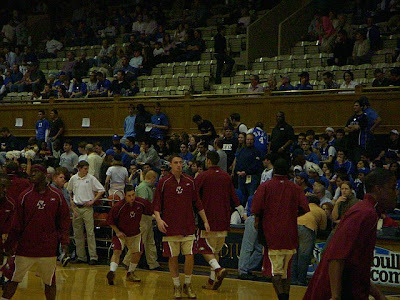 One BC scholarship became available in part because Warren Wilson transferred to UMass. The New Hampshire product didn't see much action and probably felt passed over by the younger kids in the program. In Pro news, here is a little background on how Matt Ryan selected Tom Condon as his agent. Last season was officially Jags' first recruiting class. Rushed together, the group consisted of guys he found and guys who committed to TOB. This is his first full class...and it's a big one. 29 recruits in all. You can read all their bios here. Do yourself a favor and listen to Jags' press conference off of bceagles.com (listed on the right side under Eagles All-Access Videos). I don't think much of the recruiting rankings, but for a future frame of reference Rivals ranked BC 33rd. Scout thought more of the class and named BC its 22nd ranked class. Instead of getting emotional or pretend anyone can accurately forecast how each individual will do, I'll just tell you what I like about this group of guys. Once a pipeline for talent, the Garden State turned barren in TOB's final years. Jags made a point to get back in the minds of the best Jersey players and coaches. The emphasis paid off. Five commits are from New Jersey and it appears like we will be a factor next year too. With that much talent less than five hours away, it just makes sense for BC to focus on New Jersey. Jags mentioned this in his press conference. He feels that it is important to bring in guys that have some versatility and isn't overly concerned about position. Some of these supposed DBs may end up as LBs. A DT may be an O-Lineman. You just never know. The important thing is that kids are talented, hard working and open to a position change. If you read the bios, you'll see that plenty of these guys have won various student athlete awards. Not everyone is a scholar. I am sure a few will have a tough time at BC. But knowing that the majority of your class comes in with a good academic foundation is the first step towards developing these kids over the next four years. I'll link to more of the news stories on these kids as they come out over the next few days. Tough loss, especially with the close game that didn't go our way. Broken record time: I think the pieces are there and the team is close to putting together some good games. Oates played out of his mind, which made up for an injured Spears and a banged up Rice. I like the new starting line up too. Only saw bits and pieces so I am not doing a lengthy game recap, but feel free to leave your thoughts. Friday I'll break down the promising second half of the schedule. This is the morning roundup. Later today once the names come in and BC is officially aloud to comment, I'll post a recap on recruiting. This anecdote about Jags and McGovern trying to close a New Jersey recruit only to see Greg Schiano helicopter in shows how silly this process can get. The cornerstone of this class -- Josh Haden -- is already on campus and training with the team. Christian Wilson is expected to sign with North Carolina over BC. Here is an update on what TOB is doing in North Carolina. Tom Lemming lists BC as one of the programs that continues to outperform its recruiting rankings. In basketball news, BC takes on Maryland tonight on ESPN U. It is a very different team from the one BC beat in December. After that slide, the Terps have put together a 4-3 ACC record which includes an upset of North Carolina. BC is favored by 1. Here is an article on basketball walk-on Brennan Bennett. Football Signing Day approaches, but there shouldn't be any surprises on the BC side as Jags has nearly filled his class. In the notebook section of this article, it states that BC is still in the mix for Pennsylvania prospect Christian Wilson. BC commit Stephen Atkinson is one of many prospects who verballed early making signing day less intriguing or news worthy. BC's recruiting pitch is often about playing football and getting a great education. To back that up, four guys were named to the ACC Academic Football Team. Last night's game was a reminder how great overtime hockey can be. The kids came out in the extra time and were flying around leading to Gerbe's game winner. The win keeps gets BC back on track and keeps BU out of the final for the first time in 13 years. Nice. For those who don't have access to NESN, perhaps you should work with your local alumni club to have a game watch. The BC Club of Atlanta had one here. Now let's hope the guys close it out next week. 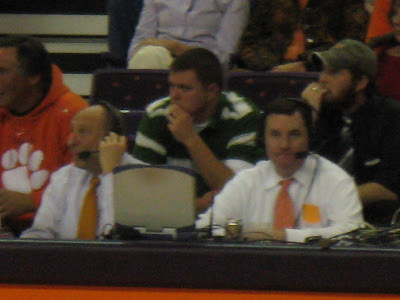 Mook Williams, one of my former WZBC broadcast partners, is back as a guest blogger to catch up us on BC hockey. Tonight is the Beanpot and the chance for this young BC team to make its mark. Below are my questions and Mook's answers to the matchup with BU and what lies ahead. 1. Much was made of the early season dismissals from the team. Based on the BC’s recent upturn, it doesn’t really seem to be an issue. What is your take? Mook Williams: Although lately it doesn't seem like the early season dismissals haven't had an effect lately, I think that they are going to start to become a factor as the season progresses through February and March, combined of course with Brock Bradford's hard luck injuries. O'Hanley? Nah, not a star by any means, and really isn't a consistent starter on a championship hockey team. However, he adds some depth to the bench and allows you to spell guys at both forward and defense, as he could play both. Alright, minor loss. However, I believe that Motherwell was a pretty big loss because it left the Eagles without a developing defenseman who was getting better year after year, and who was a guy who played a decent point on the power play. The loss of Motherwell TRULY exposes the lack of depth on the BC blue line - unfortunately, the Eagles may wear thin back there as the season progresses, especially against good teams (heck, they only have 1 win versus top 10 teams as it is right now). 2. BC dominated BU earlier in the year and then struggled in a tie this month. What was the difference in the three meetings? Mook Williams: The difference was pure emotion. BC came into the first meeting on a downslide after playing through a few consecutive rough games, and decided to stop the slide at Agganis and take it to a stunned Terrier squad. The REVERSE happened in the second meeting - BC was playing well and BU was (and still is, really) in a rough spell. Perhaps fired up by the rivalry, what happened in the last game, and the packed crowd at Conte, BU came out and dominated the sluggish Eagles. BC was lucky to draw a tie in that game, and John Muse deserves all the credit for that. The Terriers were all over the ice, playing with their hearts on their sleeves, and truly showed you that on any given night in NCAA hockey any team can win (I think we've seen this maxim proven true time and time again during the last couple of college hockey seasons). I expect BOTH teams to be fired up for the Beanpot, and a great game on Monday night. 3. What is your prediction for Monday’s game? 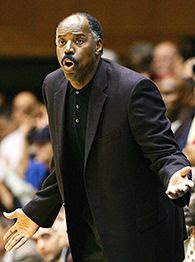 Mook Williams: Come on, it's the Beanpot!!! Gotta pick BU in OT, 4-3. BC with the huge shot advantage, of course. 4. The Beanpot has been a bump in the road the past few seasons. Do you expect this year to be any different? Can this team make another run at the Frozen Four? Mook Williams: I think there's a chance that this year could be very different in the 'Pot because of BC's relative youth, BU's awful team, HU's subpar team, and NU's regenerized (but recently slumping) team. I could see NU easily winning this tournament, and I could also see BC overcoming BU this time around and squeeking out a win in the title game. As far as the national title race is concerned . . . if Brock Bradford was healthy, I wouldn't have any doubt that they would be in Denver. However, without him, it's going to be very tight and close. I'd lean towards them not making the Frozen Four, due to their inconistent defensive hockey. John Muse has been a pleasant surprise, but who knows how he will play in the postseason?? Will he step it up his freshman year, a la Scott Clemmensen (prior to, ahemm, Josh Langfeld's shot), or will he bomb in his freshman year (See Cory Schneider). I love the offensive hockey, the overall flow, and the skating, it's just that the blue line has been really suspect (even the top guys, like Brennan, haven't been great), and the postseason goaltending is a question that won't be answered until March. Hey, it's there for the taking for BC . . . other than Michigan, I'm not overly impressed with any other national team. If BC can win the Hockey East tournament, and right now that is a big IF because the tourney is going to be a deep one, that will be an indication as to whether they can get to another Frozen Four. Tune in! Early enrollee Max Holloway was one of a few kids from his high school to graduate early. BC had another record year in applications. The women's basketball team continues to play well. 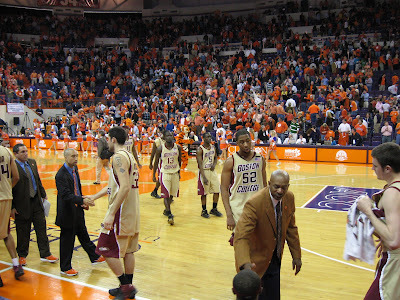 With the win over Miami they are now 5-2 in the ACC. This gives me hope for our men's team as the women were young and rebuilding last year. Now they are making a real push. Here is an article on Coughlin's days at BC. This second item in this notebook quotes Shawn Halloran on playing and coaching under Coughlin. In the second portion of this article, BC commit Chris Hayden-Martin talks about BC honoring his scholoarship despite the injury he suffered this season. This is an overview of ACC recruiting. At this point the experts rank BC's class as 5th within the ACC. 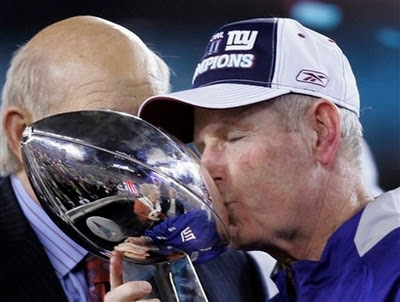 Congrats to Tom Coughlin. I guess the Notre Dame game is now the second biggest win of his career. This could be a long month. 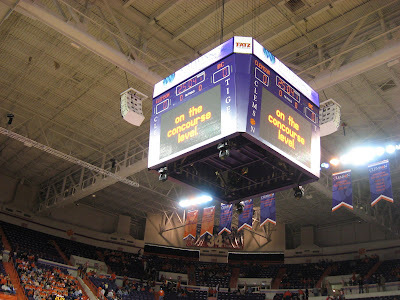 In a game that mirrored much of what happened in Chapel Hill, the team just couldn't capitalize on Clemson's off night shooting and had trouble with the Tiger's D. It all comes back to the inside. The rebounding was poor and no one is really able to create anything close to the basket. That leaves Rice and Sanders to make things happen on the perimeter and led to a few shot clock violations. The most encouraging part is seeing Southern continue to play and exert himself. We need someone inside who can rebound and get some scrappy points. We've given the older guys a shot, so we might as well see what Southern can do. Also, let me say that the four freshmen who play are all doing well. This will come together. I just hope it happens this season, not next. Here are my pictures from the game. 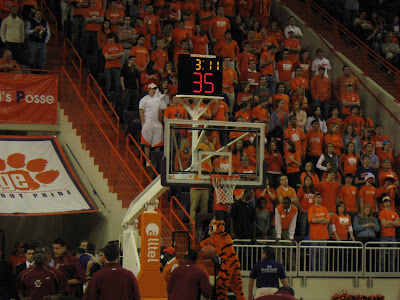 As always, the Clemson fans couldn't have been cooler. Because of my well-know allegiance to BC people down here often assume I am a Patriots fan. This week I’ve done a lot of explaining -- “I’m actually a Giants fan, plus I am rooting for Tom Coughlin.” The Tom Coughlin part generated a few curious looks, especially when I point out that Coughlin left BC right before I got there. Guys who leave after a few successful seasons aren’t usually embraced by the fans of the program left behind. The spurned are often left bitter and think of what could have been. Yet even as a student enduring the Henning years, I never came across BC fans who hated Coughlin. If anything, he showed what BC could be. Fans always eat up the no excuses, gruff toughness that guys like Coughlin dish out (when it works). For all the rough and tough talk there was also a portion of the BC fan base who appreciated Coughlin’s strategic approach to the game and his eye for talent. His staff was filled with guys who would go on to be head coaches elsewhere. We knew we had a shooting star of a coach. The fact that he went onto Jacksonville and led the most successful NFL expansion since the merger only validated most opinions. He was a great coach and we saw it first hand. 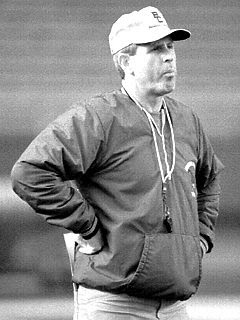 Coughlin’s persona and the blaze of glory he brought to the Heights would have cast a shadow on most programs. But that is not what lingers with BC fans. It Coughlin’s continued embrace of BC that has us cheering for him. The Jay McGillis stuff got plenty of ink, but that is only a portion of it. Coughlin thought enough of BC to send his children to the school. His son-in-law is a BC Guy. He has kept good relations with the school and the administration. It doesn't go unnoticed that he also seems to always have one or two BC guys on his rosters. 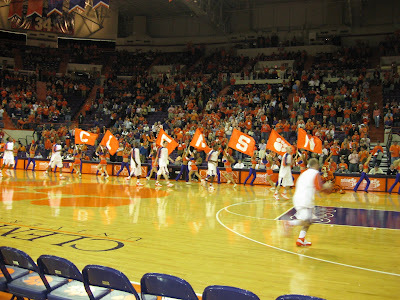 I'll be at Clemson Saturday night. If you make it to the game please come by and introduce yourself. I'll be behind the BC bench in the whale pants with a BC hat. For those who want to watch it, give ACC Select a shot. 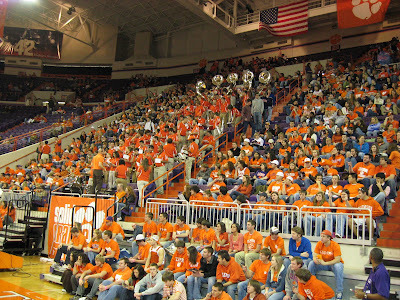 Here is the latest on the various injuries amongst the Clemson basketball team. Bob B. pointed out this article to me. It is Terry Bowden's suggestions to a high school prospect. It provides some insight into how coaches think and how a former coach would approach the process. The Gator Bowl is trimming staff now that they will not host the ACC Championship. Almost as ugly as I expected. A good start fell apart in the closing minutes of the first half (sound familiar?). We really need other scorers. Rice cannot do it alone and Sanders is not consistent enough. Southern played better than expected in extended playing time. The other guys...eh. This is not a championship team but enough pieces are there. Can it come together this season? 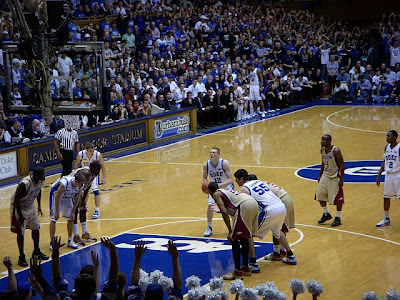 The team needs to find its way: be patient with the offense and work to find better shot. The defense is not bad considering the talent matchups. They just need better rebounding. Let's hope the team finds itself and what works in the Clemson game.